Pura Naturals Pet™ Flea & Tick Spray for Dogs is an effective way to protect your pet from pests naturally. 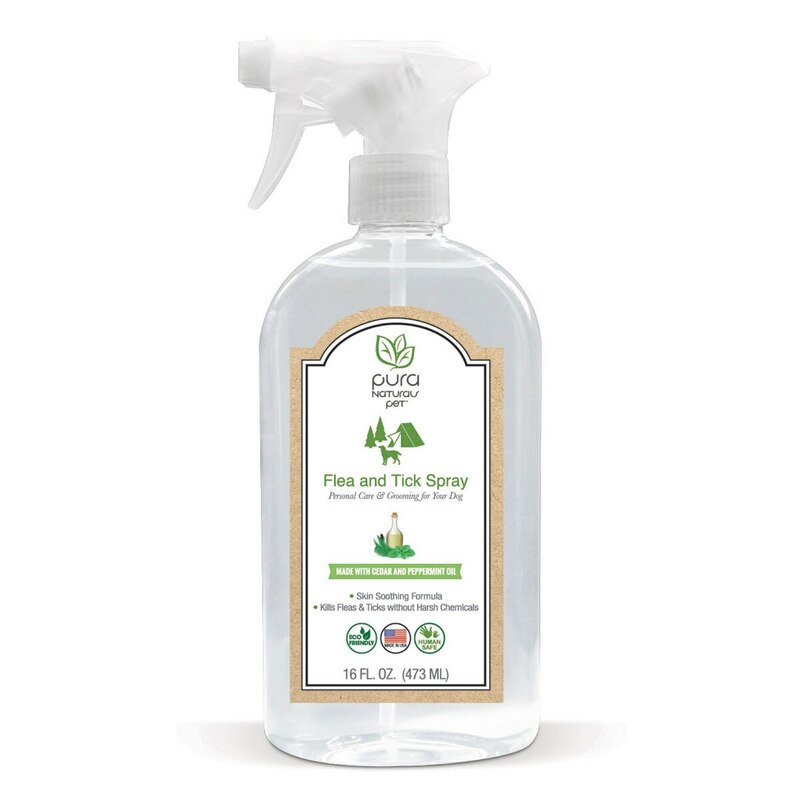 This non-toxic, gentle spray is made with peppermint oil, cedar oil, rosemary oil, cove oil and cinnamon oil. This perfect blend of natural oils work wonderfully together to ward off fleas, ticks and mosquitos. The peppermint oil and rosemary oil also help to soothe and aid skin irritation, while cedar oil is great for conditioning the skin and coat.